Sometimes Life gets in the way of creation. Life with a capital “L.” I’ve had more of those interruptions in the past ten years than there are flowers in the field. Yes, that’s a slight exaggeration. Unfortunately, it’s only a slight exaggeration. Today, though, the interruption is fun! Last Sunday we brought a new puppy home. I’d like to introduce you to Neo. 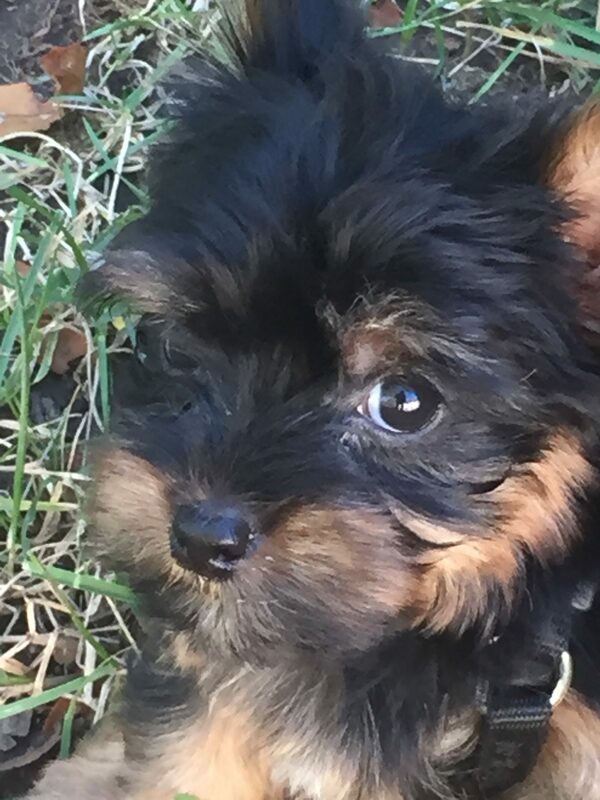 He’s a purebred Yorkshire Terrier, eight weeks old, and a little shy of two pounds in this picture. He’s a bundle of joy and energy. (I’d forgotten how much energy a puppy has and takes!) He’s adapted to his new life and family well. In addition to the new pup, I’ve been working on the final scenes of My Soul to Keep and taking an online class on an update to this website. I can’t wait to reveal to you what I’ve been learning in my class. Next week we resume the Reader’s Interview series with answers from Cindy. Stay tuned for a re-designed website coming in November and an announcement about my WIP, My Soul to Keep.